The first Macintosh was released 1984. However, it was not very useful with it’s 128kb ram and lack of a SCSI connector. The later 512kb version (Fat Mac) fixed the memory problem but still no SCSI. 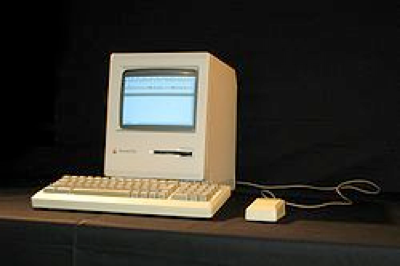 In 1986 the 1MB RAM Macintosh Plus was released with a standard 50-pin SCSI connector. At last a cheap usable computer with GUI! Of course in 1986 both Amiga and Atari had released their GUI-computers also! The usual OS is Mac OS 6 for this machine. It’s my first ”real” mac.